Nayantara has quickly refuted the rumors that the makers of the original 'The Dirty Picture' approached her for the Tamil - Telugu remake and that she has given her consent for the project. "I loved watching The Dirty Picture but I won't be comfortable doing it in the south. Media seems to love me this season. But no, none have approached me and even if they approach I will not be working on it", says the actress who is back after a brief hiatus. It was reported that Nayantara quoted a whooping price for acting in this movie and that the makers asked her to gain a few pounds to get into the skin of the character she will be donning. The actress will be seen in Ajith - Arya - Vishnuvardhan film and a bilingual with Telugu actor Gopichand in Tamil. She has signed few Telugu biggies as well and is pinning her hopes on gaining back her numero uno position in Tamil - Telugu cinema. Film actress Udayathara and Jubin Jodeph entered the holy matrimony yesterday at a village near Kochi. The actress was engaged to the Dubai-based pilot and had announced that she would tie the nuptial knot on May 16th. Several film personalities were present at this wedding ceremony that was held in a church. Udayathara, who had acted in Tamil films like Thee Nagar, Kannum Kannum and Malaiyaan, has said that she will continue to act even after the wedding. She currently has a couple of Malayalam films in her kitty. The newlyweds will fly down to a foreign locale for their honeymoon and soon after their return; Udayathara will start concentrating in her acting career. Top10cinema offers its best wishes to the couple for a long and happy married life. 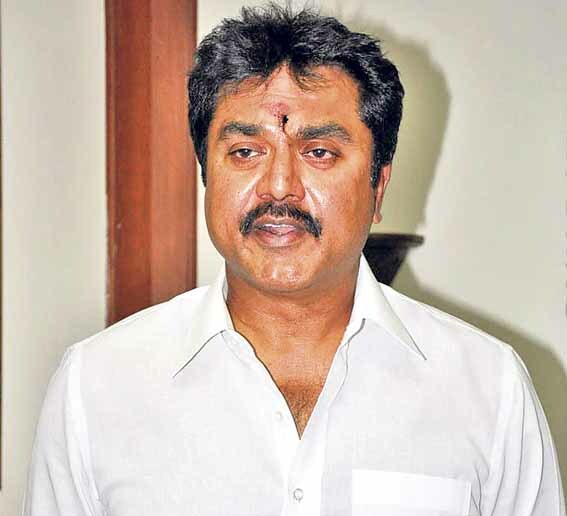 Putting an end to reports that claimed that he is doing an important role in Vijay's forthcoming film 'Thupaki', Sarath Kumar has said he is not aware of any such development. "This is news to me," he said. 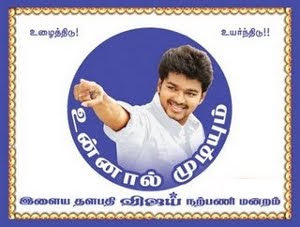 The actor-politician, who is the president of South Indian Film Artistes Association, said, "No one associated with Thupaki has contacted me. There is no truth in the claim that I am part of the movie." The founder president of All India Samathuva Makkal Katchi is at present a legislator in the Tamil Nadu Assembly. On the acting front, he is busy with Superstar Rajinikanth's 'Kochadaiyaan', 'Vidiyal', and a couple of films in Malayalam and Kannada. On 'Vidiyal', he says, "The shooting is almost over. The rest will be completed once Sneha becomes free, as she took a break due to her wedding with Prasanna. We are waiting for her." Top Telugu and Tamil music director Devi Sri Prasad popularly known as DSP is riding a wave. His Telugu Pawan Kalyan's Gabbar Singh has turned out to be a runaway super hit. 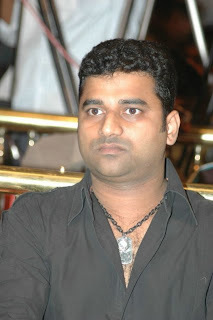 DSP's music for GS especially the song Pilla..has become a rage. The bright and young music director takes time of his busy schedule to speak to Sreedhar Pillai. I'm on top of the world. At the audio launch itself, Pawan Kalyan sir told me that every song in the album is mindblowing. Now I'm happy that his words have come true and the film is turning out to be a blockbuster and music is being appreciated. My special thanks to director Harish Shankar for making it a success. Q. The song you wrote, Pillaa.. is turning out to be the chartbuster. I had written for five or six films earlier but nothing like Pillaa.. song.Harish wanted a mass song, and I tweaked it a bit and made it classy, at the same time with a mass touch. The whole song has been written keeping in mind the smile of a girl. A folk singer Vaddepalli Srinivas rendered it well and Pawan Kalyan's dialogue interlude in the song blended beautifully along with Harish Shankar's picturisation using drummers in the background worked with the audiences. Q. Is writing in your blood as your dad was a school teacher and a writer? Yes, I have imbibed writing from my dad, and have written lyrics for a few Telugu movies earlier(Shankar Dada). But Pillaa was different as every lyricist like Chandrabose garu,Ramajogayya garu, Sahiti garu,Bhaskarabatla garu appreciated me for the lyrics. I became very emotional when the legendary Sitarama Shastry garu called me and praised me for my Pillaa lyrics. It was as good as getting an award. Q. You seem to be doing more Telugu films than Tamil? It just happened that I'm doing about 7 films in Telugu with top stars at the moment. In Tamil I'm doing Karthi's Alex Pandian and all the songs have come out well. Karthi just loves my music and he remembers all my Telugu numbers. I'm also doing Hari sir's Singam 2 with Suriya sir. We have already recorded two songs for the album. Q. What's happening on your Bollywood front especially after Salman's Ready song Dhinka Chinka an adaptation of Ring a Ringa became rage? At the moment I'm doing the title song for Kabeer Kaushik's Maximum which has Naseeruddin Shah and Sonu Sood. They have picked my Aa Ante song from Arya. I should be doing a film for Salman Khan soon, as he has told me that he loves my music. 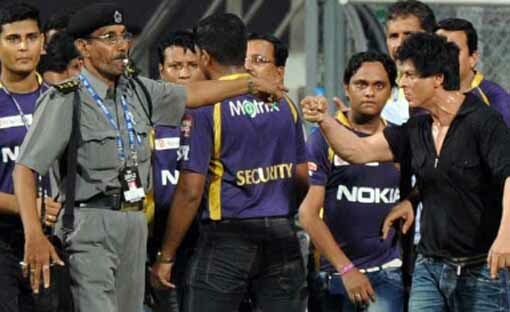 Following an ugly spat at Wankhede stadium, Mumbai, last night, B-town Badshah and IPL's KKR co-owner Shah Rukh Khan may be banned from entering the stadium for future IPL matches here forth. Yesterday after the KKR-Mumbai Indians Match, Shah Rukh Khan reported to have entered a tussle with some Mumbai Cricket Association (MCA) officials - including MCA president Vilasrao Deshmukh and a security staff. The incident didn't go down the officials, owing to which they are seriously planning to bring a ban on the star from entering Wankhede. Stated MCA vice-president Ravi Savant in a media interview, "He (SRK) misbehaved and abused the MCA security personnel as well as MCA officials, including our president Vilasrao Deshmukh, after the IPL match. We have decided to ban him for life from entering the stadium in future." The final decision will be made this evening after IPL Chairman Rajiv Shukla puts together the pieces of the incident from various sources who were present in the situation. According to sources, the spat took place after SRK, who alleged to have been drunken state, argued with security personnel. The latter didn't allow KKR supporting kids, who were in SRK's entourage, to enter the stadium. In the course of the argument, Shah Rukh said to have lost his temper and turned abusive. He didn't calm down even when MCA and IPL officials came to pacify him. Finally, a senior Mumbai Police official had to intervene to bring a stop to the nearly one-hour tussle.